Campiglia Marittima is a well preserved medieval town not far from the Tuscan coast, southeast of Livorno. Wonderful old buildings joined by stone arches line the winding laneways. It is a lovely place to wander on a sunny day. 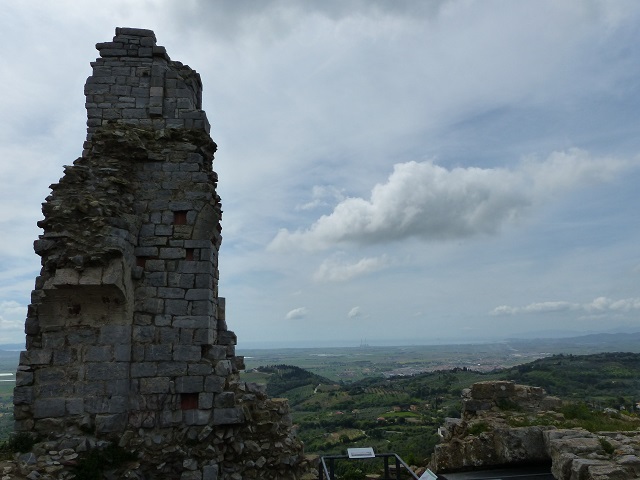 There is the ruin of a castle at the top of the town. 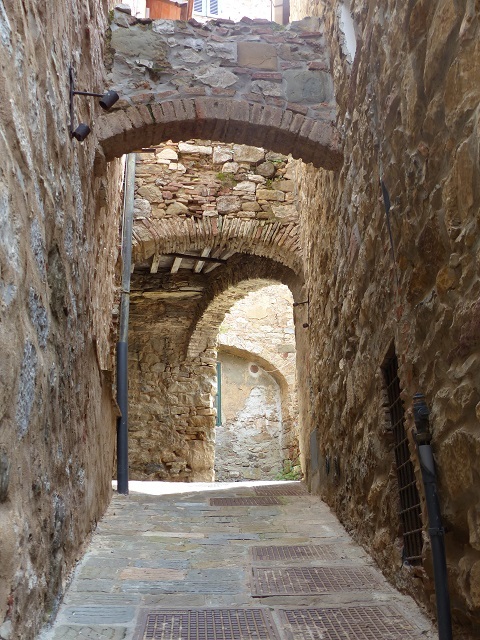 La Rocca was built between the 12th and 14th centuries, possibly on the site of an earlier castle or fort. Until the end of the 13th century the buildings were inhabited by the Della Gherardesca family who were responsible for turning a group of huts into a village. There isn’t much left of the castle, but there are some fine views from the top. 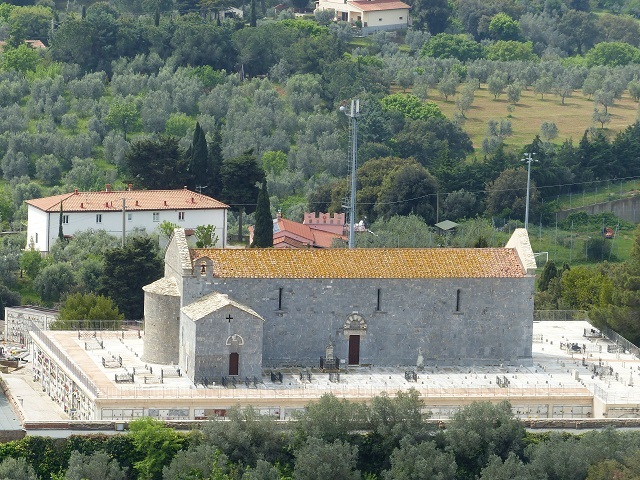 The church of San Giovanni sits just outside the main group of houses in the town. It is surrounded by a graveyard in a beautiful garden setting. Around the church are some strange symbols, particularly the one in front of the church door. 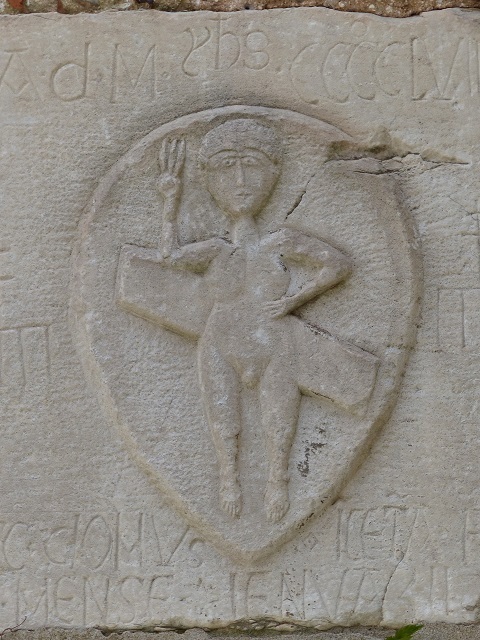 The top of a tombstone bears a curious central motif; an androgynous body which is male below the waist, female above. 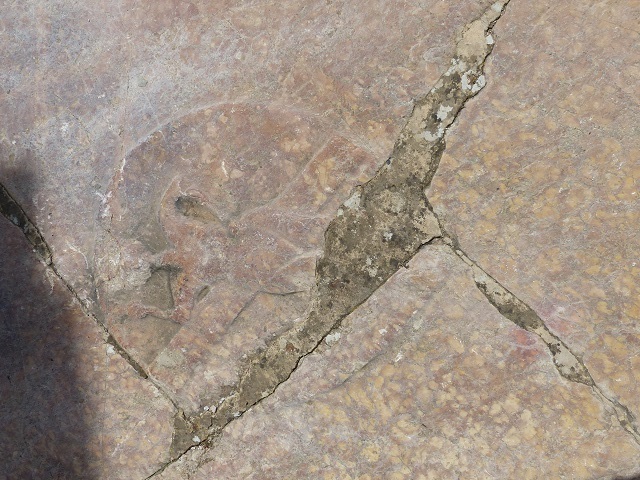 The figure seems to be holding a torch in its right hand, while supporting itself against a board. Curiously, the same figure appears on the house at number 4 Via B.Buozzi in the village. Here the figure seems to be holding a number 3 rather than a torch. It is all a bit of a mystery. The figure on the house. 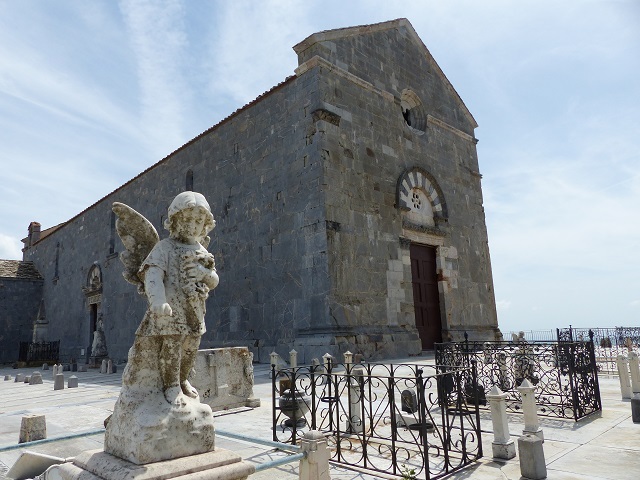 Campiglia Marittima is well worth a stop on your travels along the coast of Tuscany. Debra Kolkka writes two blogs, Bagni di Lucca and Beyond and Bella Bagni di Lucca. With a background in fashion, this Australian splits her life between her home country and her beloved Italy, enjoying the best of both worlds. You can find Debra on her blogs. Concierge tip: In love with Tuscany? 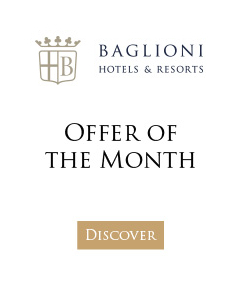 Why not combine a visit to the region’s small towns like Campiglia Marittima with a Punta Ala Signature Experience including a VIP winetasting and a stay at Hotel Cala del Porto (but hurry as the season ends soon!). 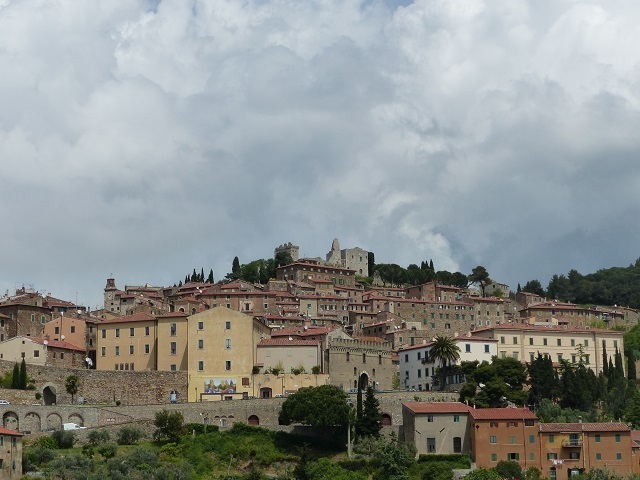 Massa Marittima is a Tuscan gem. As soon as we strolled into the town on a sunny spring day we were entranced.